As an added layer of security, workers are subject to airport-style security checkpoints each time they leave the floor, including lunch break. According to Mided, when the lunch buzzer rings, there’s a mad rush to avoid the lines. “If you’re way over on one side of the warehouse and lunch is called, you have 30 minutes from that point to clock out, eat, and come back. You’re spending half your time waiting to be scanned out so you can be sure you’re not stealing anything. It leaves you with about 10 minutes for food.” The same lines form at the end of the day when workers pour out of the building. And workers don’t get paid to stand in line, thanks to a Supreme Court decision at the end of 2014 that ruled businesses like Amazon don't have to pay employees for the time they spend waiting to be scanned. “There might be a book, a toothbrush, a copy of a Barbie VHS tape from 1993, and a pair of moccasins. And you'll only pick one of the items.” There’s a term for this: chaotic storage. "A lot of people would make up stuff just to get off the floor,” a former worker says. “Some people would just confuse being tired with being hurt. They’d say, ‘My legs hurt!’ No, you’ve just been walking around forever." If the nurse can't find anything wrong with you but you insist you're unwell, the supervisors will find an easy job for you to do that doesn't require any heavy lifting. More often than not, this means broom duty. "That's only good for the first hour,” Mided says. “Twelve hours of pushing a broom is the most mind-numbing thing on the planet. But that still doesn't prevent people from faking." It’s their responsibility to fix other people's mistakes. 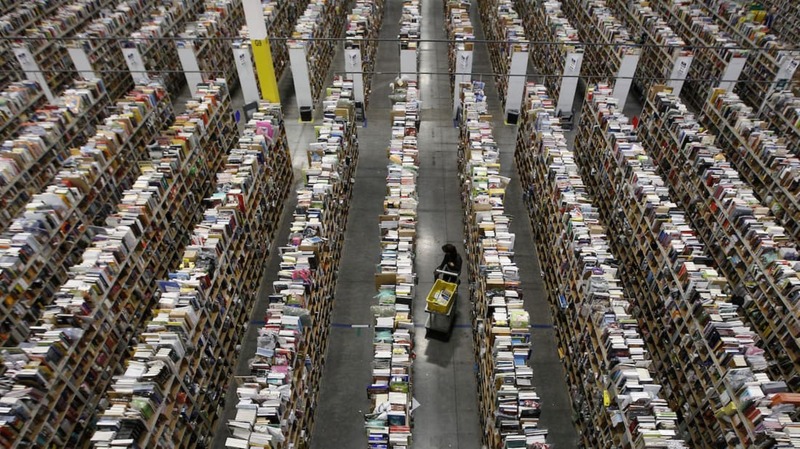 If a warehouse packer screws up on the assembly line, the Amazon machine knows it. Scales weigh each package, and if the weight is off, the box gets pulled and a “problem solver” is called over to inspect it. “If there is an error during any stage of the process, I find it, correct it, and provide the feedback to the person or cause of the error,” explains one problem solver in a recent Reddit AMA.